Shaimos internment has unfortunately been a problematic issue for decades, with the standard of service in this area leaving much to be desired. Much of the shaimos that people would carefully set aside for internment ended up in landfills. In better-case scenarios, they were buried in a manner that was not halachically proper, or in a manner that violated the legal requirements for the usage of the property. Just recently, the Lakewood municipality ordered a large shaimos-burial plot to be uncovered and the shaimos removed, because it was not done with legal authorization. Other stories of dumped shaimos being discovered caused much indignation in the frum world, but not much could be done to rectify the situation. 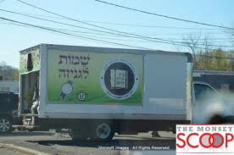 All this is now being changed with the establishment of the Beth Genizah in Liberty, New York. The Genizah is overseen by the Vaad L’mishmeres Hashaimos, under the personal directorship of Rabbi Yosef Schwartz. The Vaad purchased over 12 acres specifically for this purpose, causing a breakthrough that is being applauded by the entire frum community. A solution to the troubling Shaimos situation is finally being implemented! The Beth Genizah is under the strict rabbinical supervision of the CRC (Hisachdus Harabbonim) and the OU. Beth Genizah is equipped to deal with large quantities of shaimos, servicing shuls and yeshivos by request. They also provide services to individuals, handling each and every piece of shaimos with the dignity and respect it deserves. The site of the cemetery is visible to those traveling to the Catskills, and visitors are welcome. Since this isn’t a once-a-year venture but a continuous service, it is no longer necessary to wait with shaimos internment for Erev Pesach. The Beth Genizah can be contacted all year round, and they accept shaimos any time with advance notification. The Beth Genizah is located near a prestigious Yeshiva. The internment is done with the help of the Yeshiva boys who are on site to ensure that everything is done according to halacha.